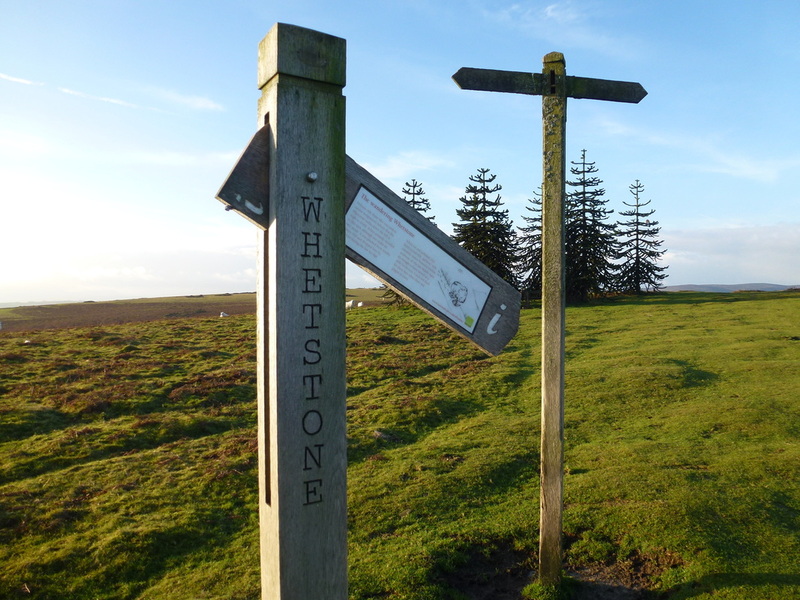 Kington is about 20 miles from home therefore we were up early and off out to walk up on the Hergest Ridge and come back via Huntington and Chickward. 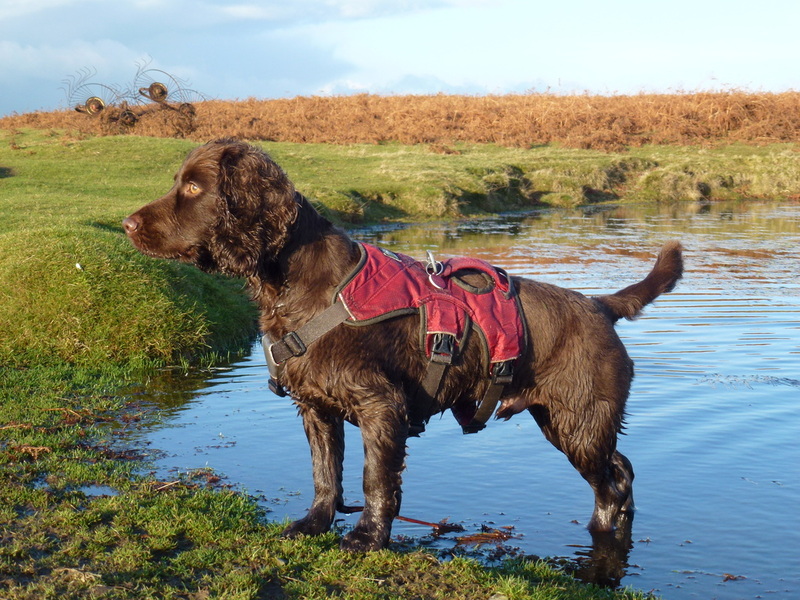 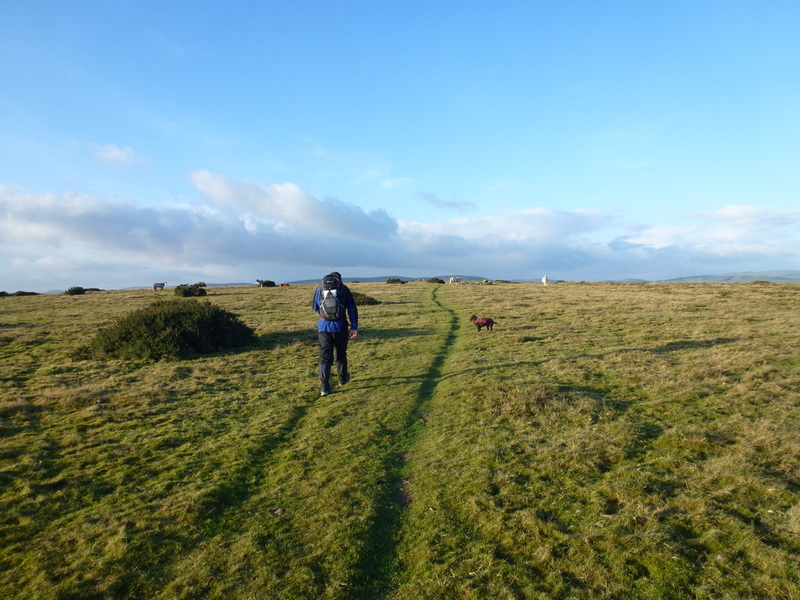 With a big flask of home made soup and the promise of good weather we headed out full of hope for a good days walking. 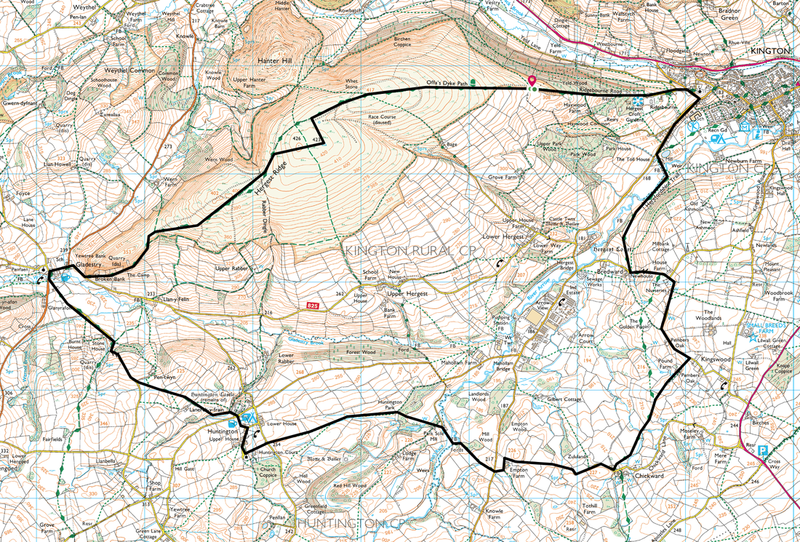 With it being Christmas Day we were also hoping to have the route to ourselves and so it proved. 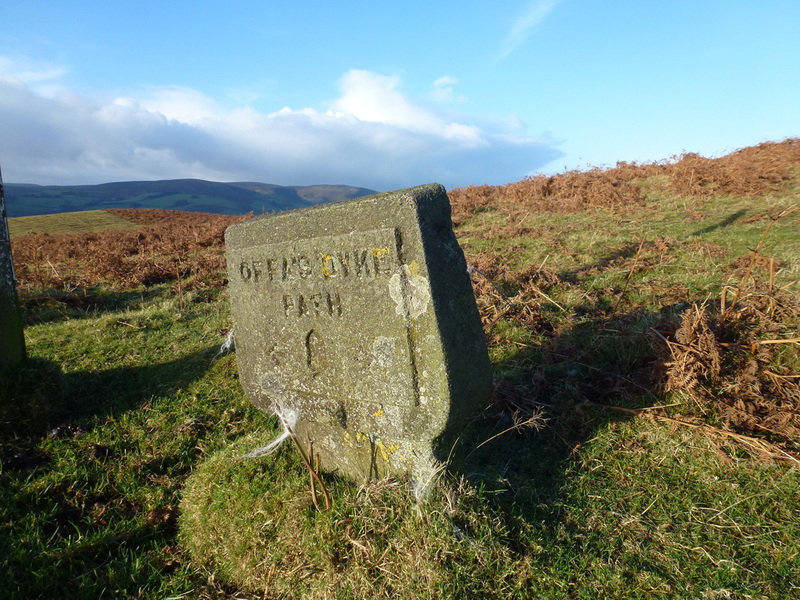 The walk starts from just outside Kington on the lane leading up to Hergest Ridge, just past Hergest Croft Gardens. 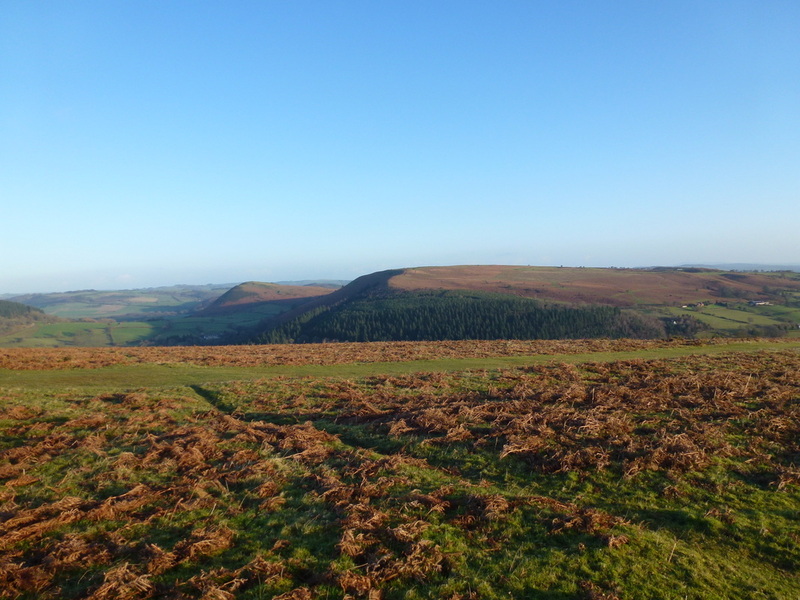 Hergest Ridge is probably best known as the title of Mike Oldfield's second album and indeed Oldfield used to live at The Beacon on Bradnor Hill, which can be seen from Hergest Ridge. 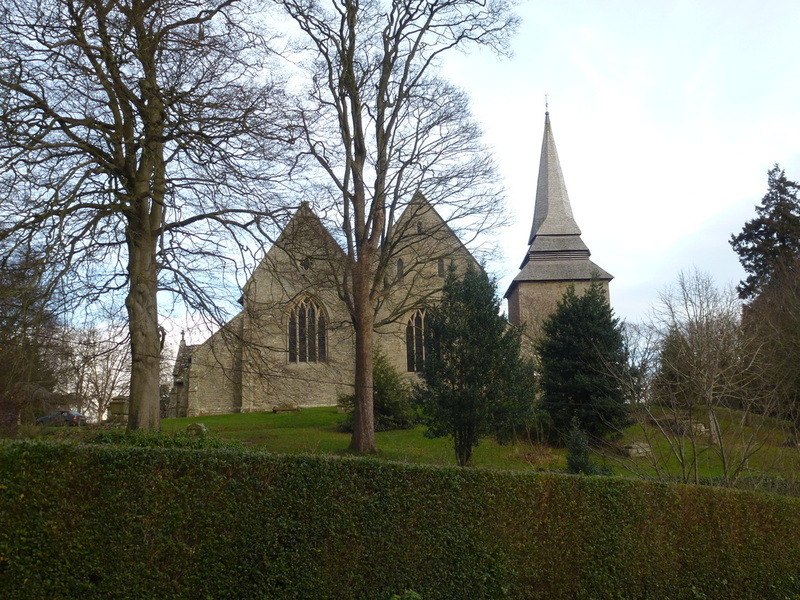 It is also said that he recorded his third album 'Ommadawn" at The Beacon. 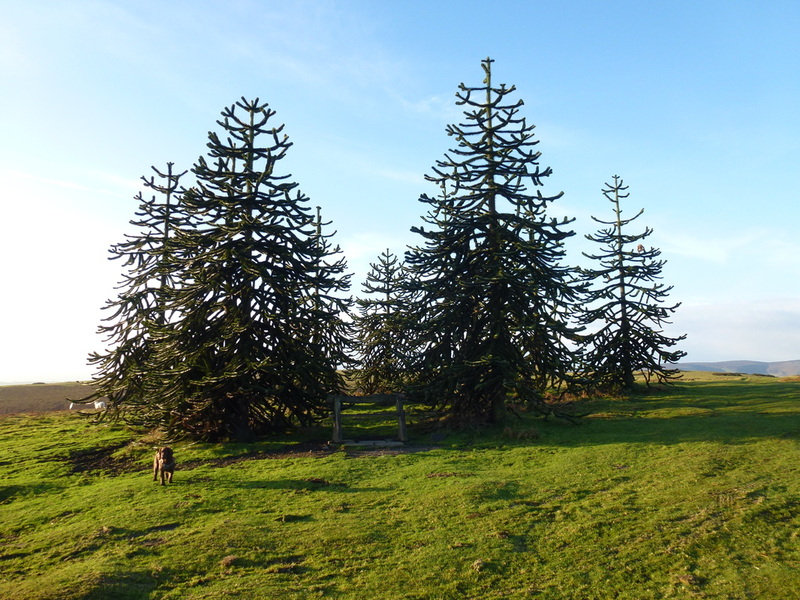 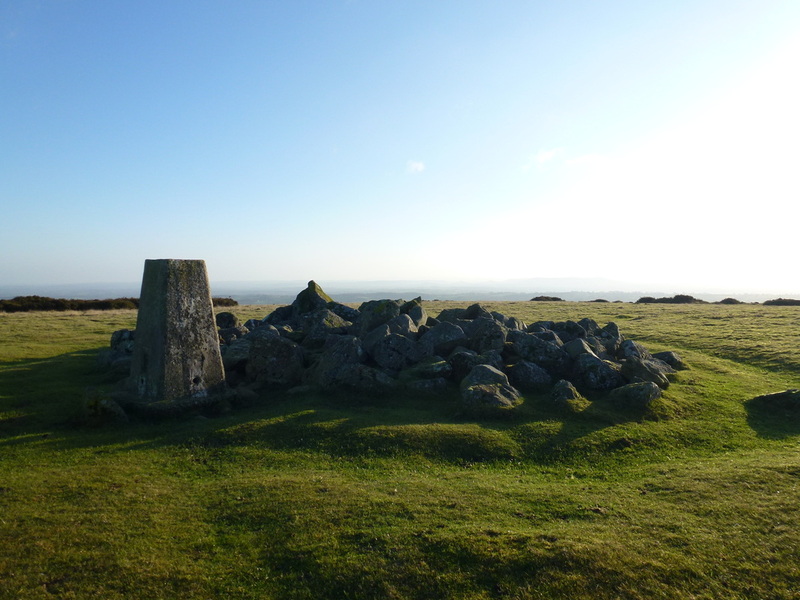 The rise up to the summit of the Ridge was on a very good grassy path (Offa's Dyke) and soon the Monkey Puzzle trees at Whetstone were reached and from here it was a short walk over to the Trig Point on the summit. 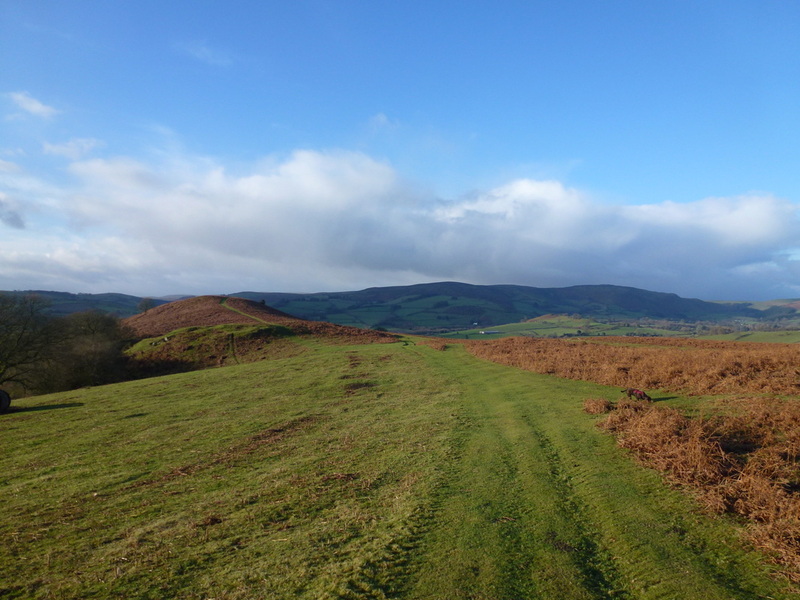 From the summit plateau the grassy path continued before a slate and stone path was reached which led us down to the sleepy village of Gladestry. 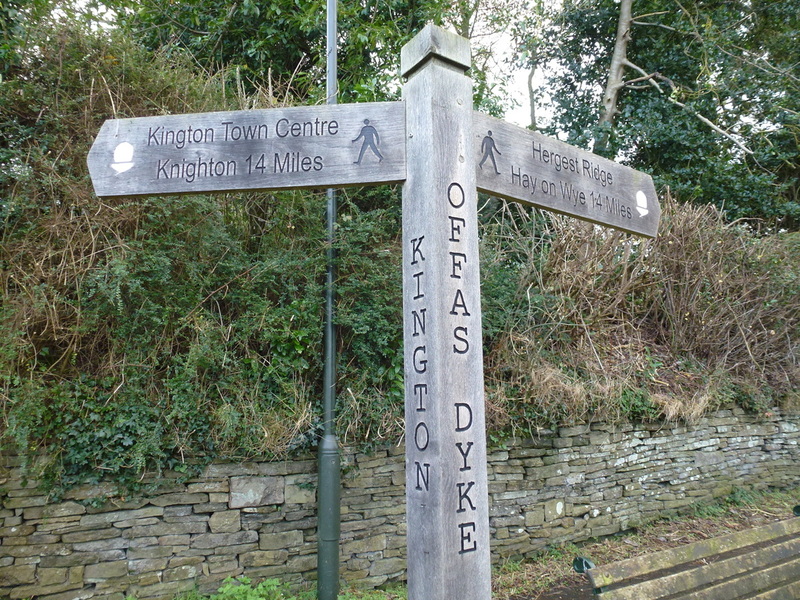 Still on the Offa's Dyke path we headed off to join a lane to Huntington Castle and soon left Offa's Dyke to reach the sleepy hamlet of Huntington. 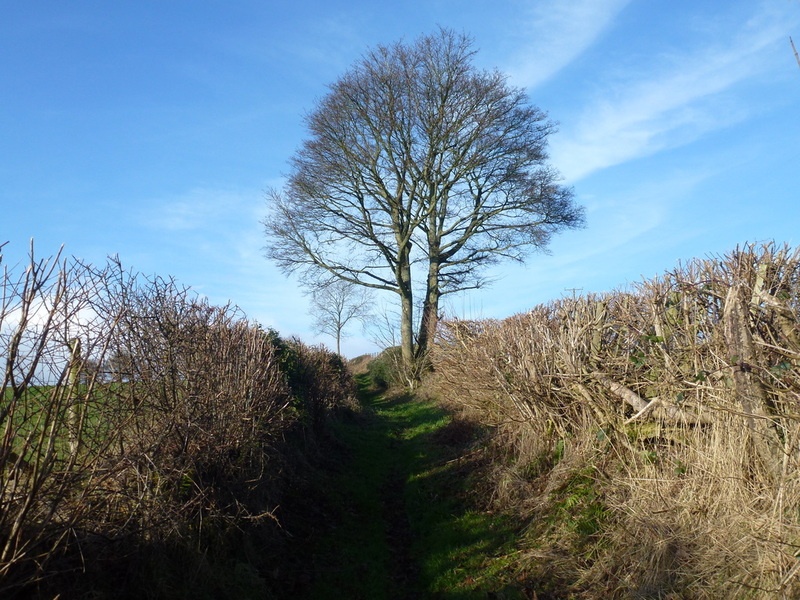 It was from this point that the path deteriorated, mainly to Huntington Park due in most part to the farmer ploughing all the way up to the hedge line. 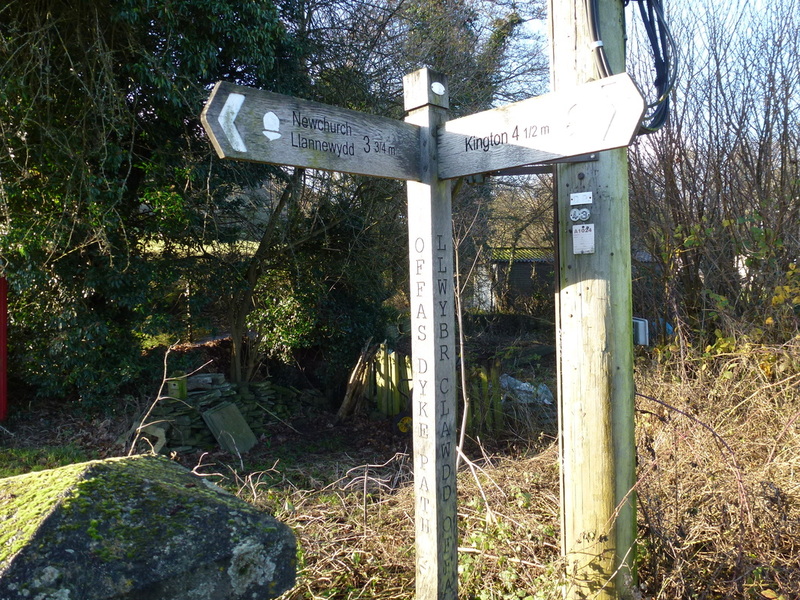 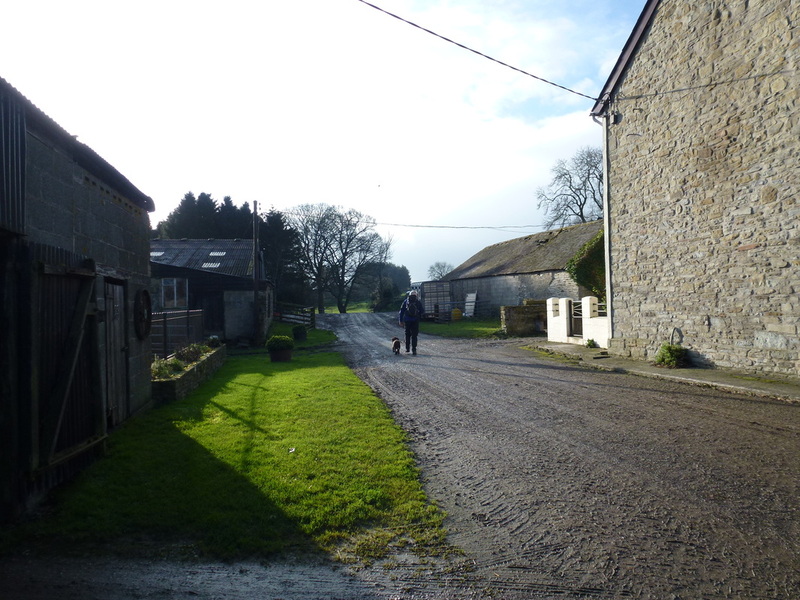 No matter - we were soon back on a proper path and soon reached the farm buildings at Chickward before heading up to Pound Farm and over fields and a short bit of road walking to reach Kington. 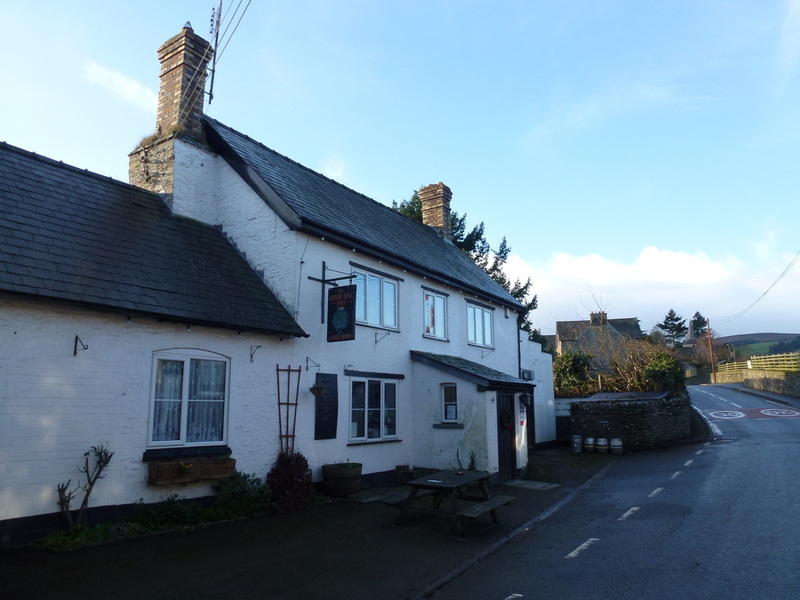 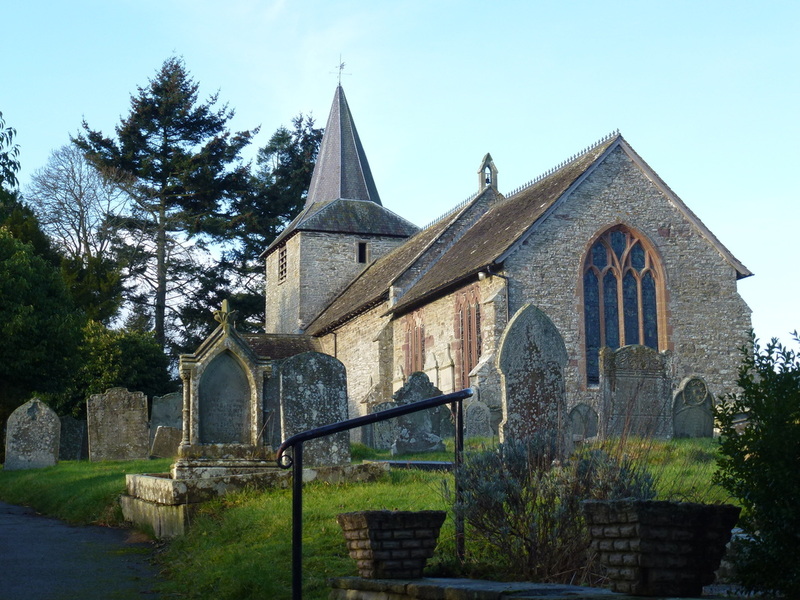 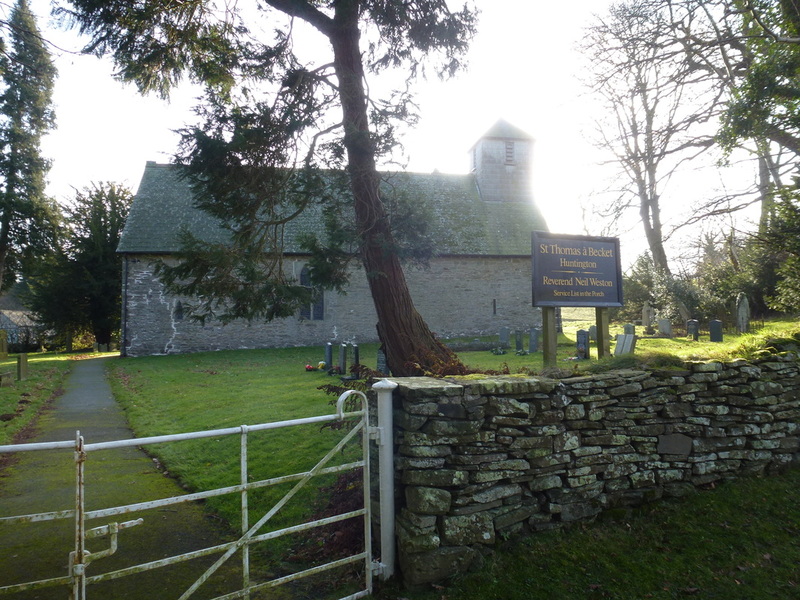 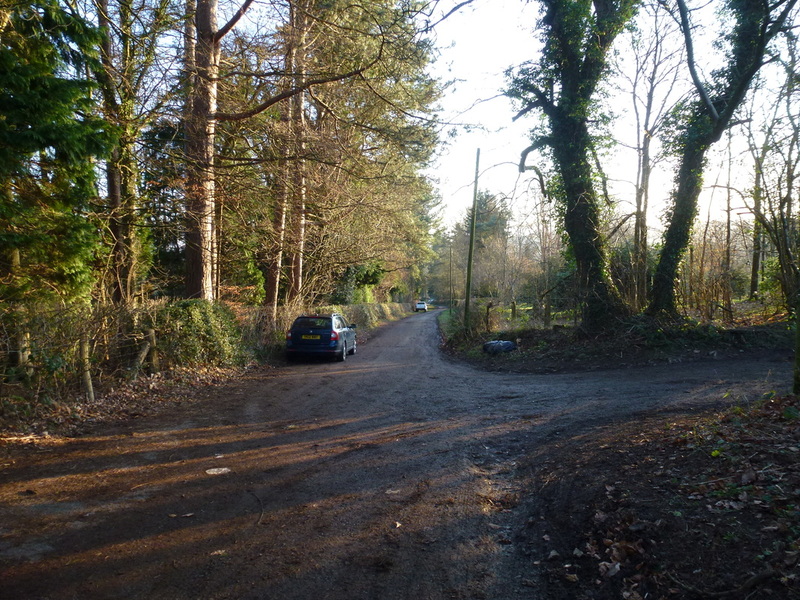 Once in Kington it is simply a case of heading back up the lane to Hergest Croft Gardens and the car parking area. 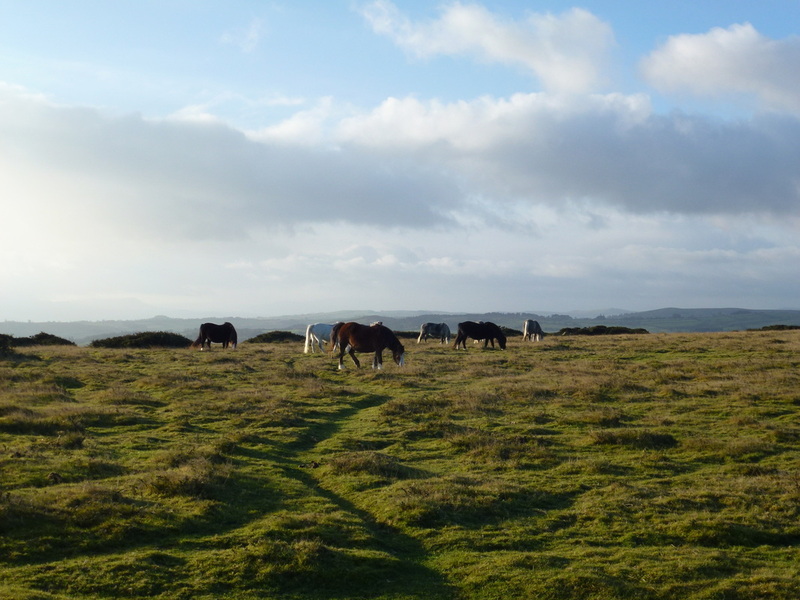 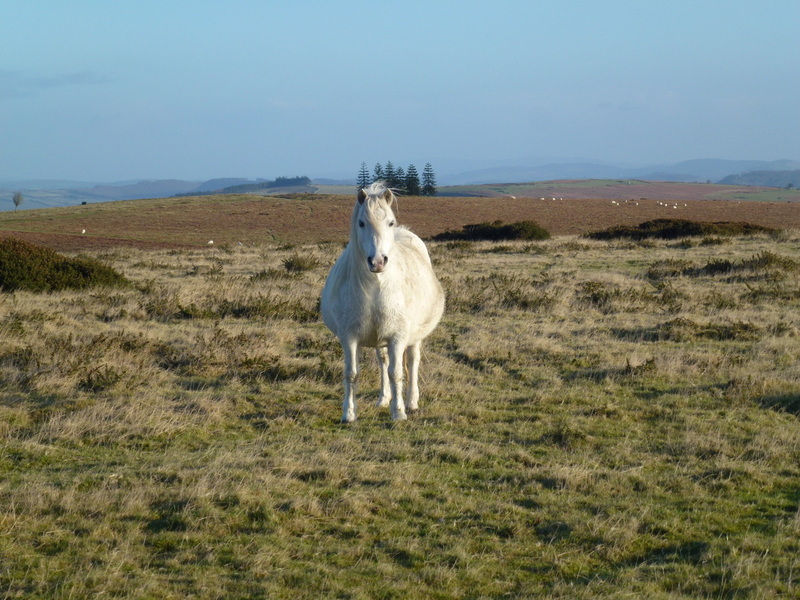 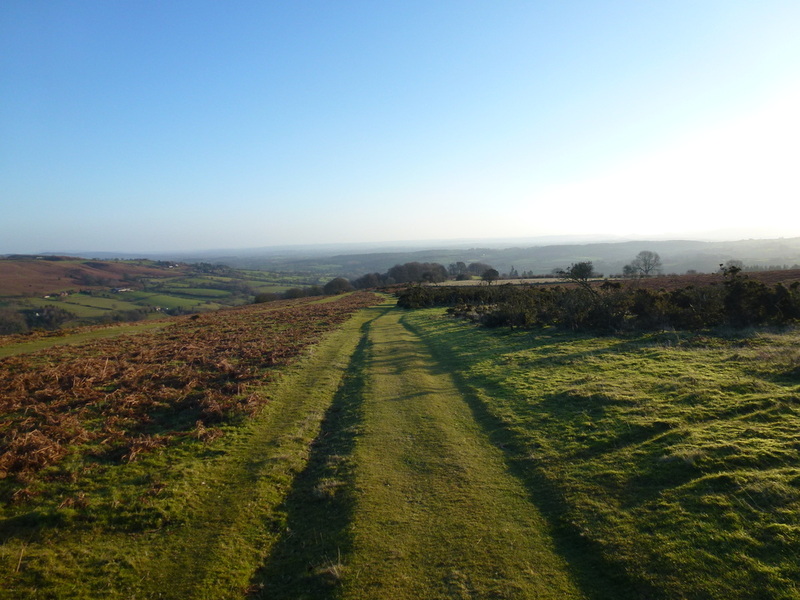 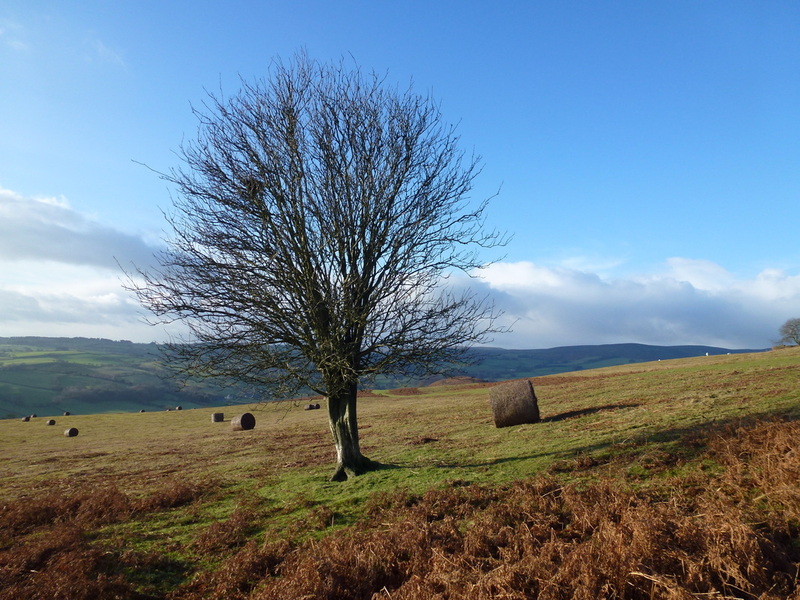 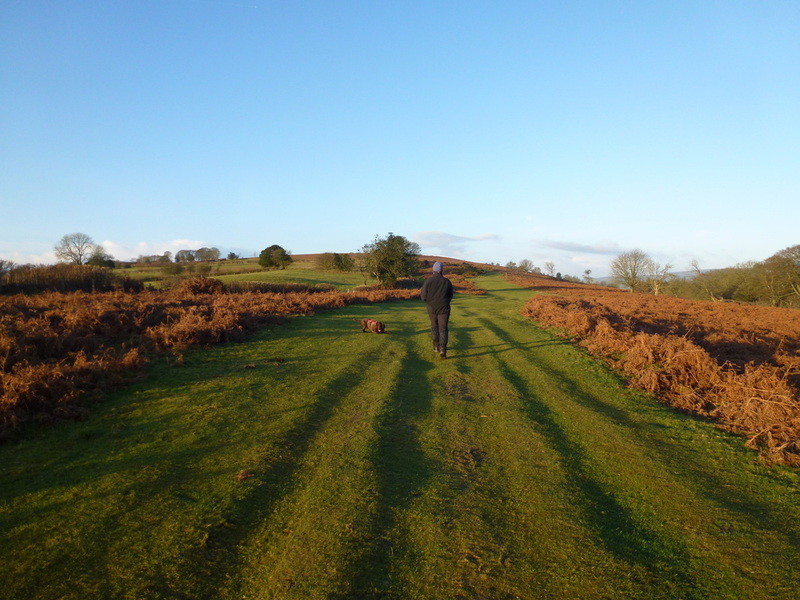 We have been up on Hergest Ridge many times and keep coming back. 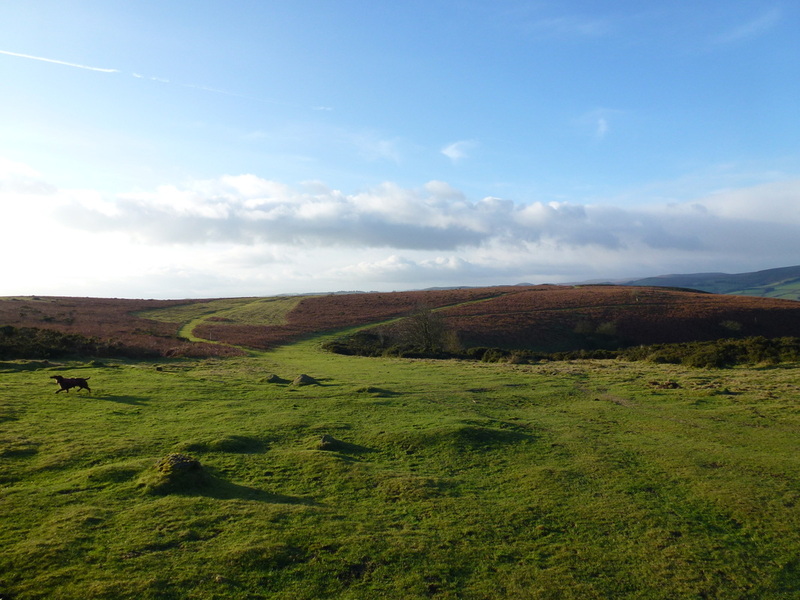 It is never really that busy and on a good day provides you with superb views over to Twmpa (Lord Hereford's Knob), Hay Bluff and The Brecon Beacons. 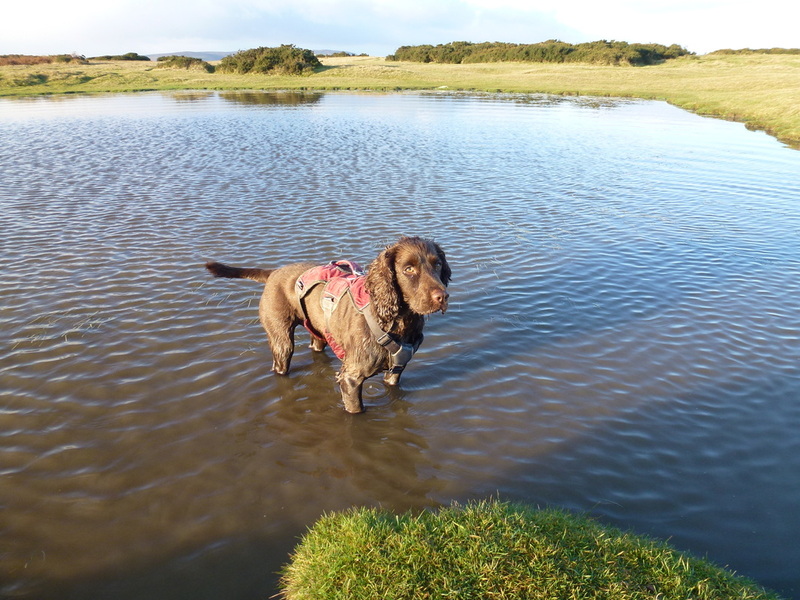 It was very cold but you try keeping him out of water - impossible! 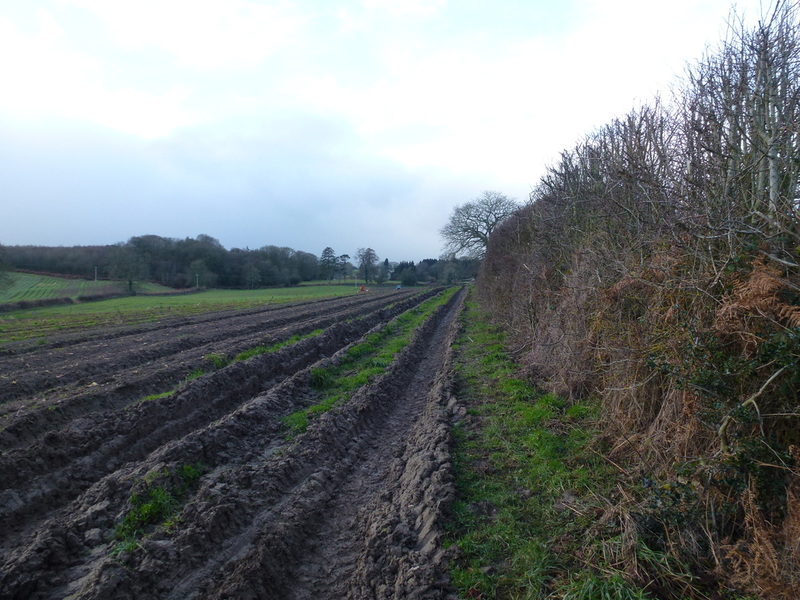 Thanks for churning the footpath up Mr Farmer!